The US is a country of opportunities, and almost every skilled professional want to work there in at least once. The country is not bounded for any introduction and the experience of working there in unparallel and it gives a high recognition worldwide. If you are looking for an opportunity to immigrate to the immigration hotspot, even if it’s for a short period, then you will be happy to know that the L-1A Visa has especially been introduced for the applicants like you. 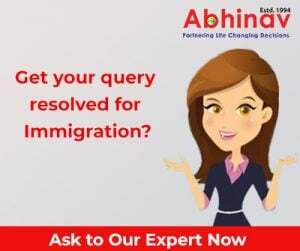 It is basically a non-immigrant intra-company transferee visa and allows a US employer to easily transfer a manager or an executive from its office overseas to its branch or subsidiary office in the US. The visa is also applicable to a company located out-of-the-country to send a manager or an executive to establish an office in the US. A manager is described as a responsible person with the authority to direct, control a department, hire and fire the employees. The rule of thumb is to direct managers or supervisory level authority. If they are functional managers, it is not compulsory for them to supervise the working of the different layers of people. Manager should be responsible for day-to-day activity. He should be a senior employee within the company and should hold the essential functional authority. An executive must be solely responsible to manage the entire organization or working of the any one major component. He should have supervised staff in past and should be able to execute the objective and policies of the organization or its function. He should only get the supervision and direction from high level of authority, i.e., the board of directors or the stock holders of the firm. To qualify is there any specific academic requirement of Executives and Managers? As such there is no specific academic requirement but to qualify an applicant must have an experience of working in an overseas organization on a post of manager or executive for at least one year in the last three years from the date of submitting the application. Initially the visa is issued for one year for a new office L-1 petition, where the US office is not more than one year old or yet to be established . If the US office is more than one year old, then I-129 petition is initially approved for three years for intercompany transfer of an employee in managerial or executive capacity. If requested, L-1A can be extended for total number of seven years with an extension of two years each. A beneficiary of L-1 Visa is entitled to apply for an American Green Card without undergoing the tedious process of Labor Certification after only one year in the L-1A status. To apply for L-1 visa petition, the employer must submit a Form I-129, petition for a non immigrant professional on the behalf of the employee with the petition processing fee. Generally, the processing of the petition takes not more than three months (90 days). A visa application for interview must be filed after receiving the I-129 approval from the USCIS. The visa application process usually takes not more than 2-4 weeks. Before submitting an application, the formal definition of the manager and executive’s responsibility must be followed and well defined. Job responsibly must be enclosed along with the application. It is not enough just to mention the title of the position.